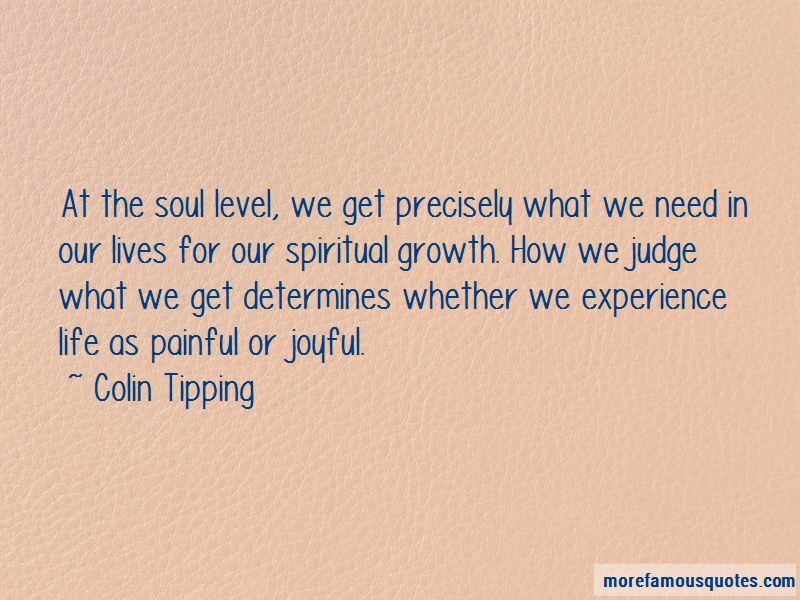 Enjoy the top 3 famous quotes, sayings and quotations by Colin Tipping. 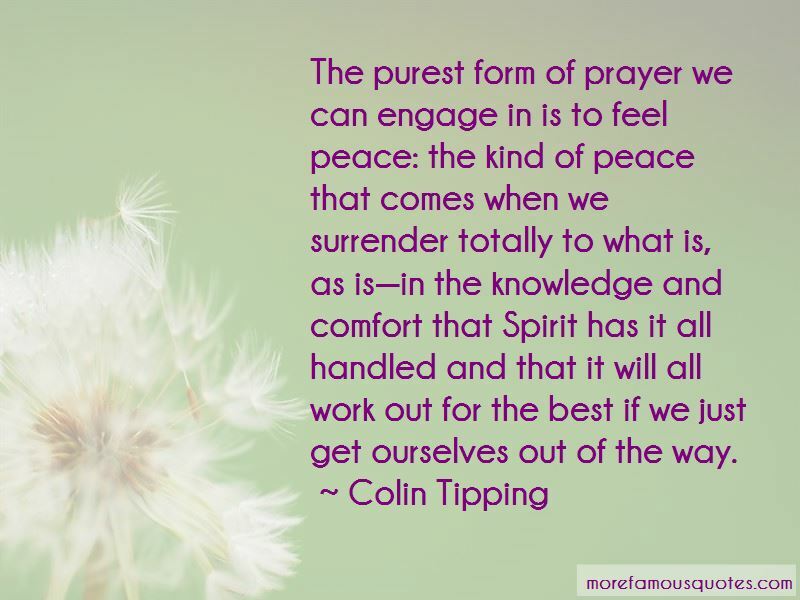 The purest form of prayer we can engage in is to feel peace: the kind of peace that comes when we surrender totally to what is, as is-in the knowledge and comfort that Spirit has it all handled and that it will all work out for the best if we just get ourselves out of the way. 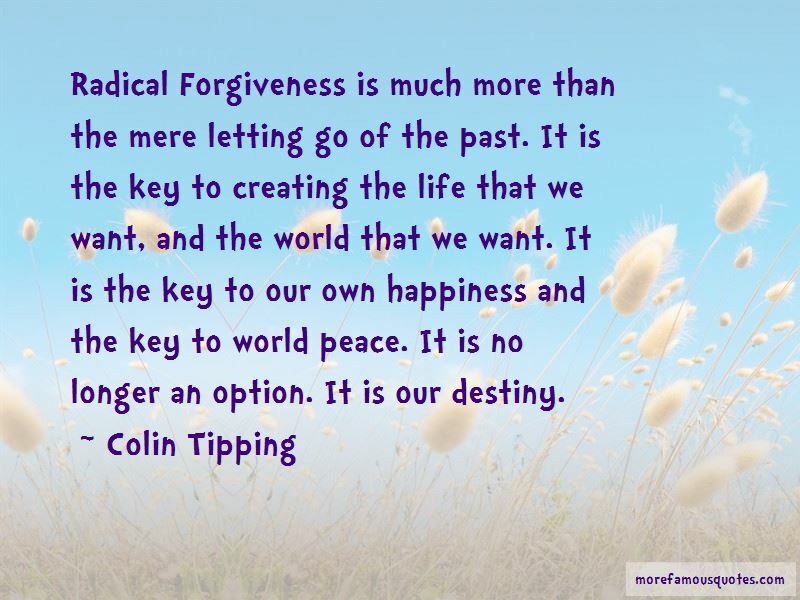 Radical Forgiveness is much more than the mere letting go of the past. It is the key to creating the life that we want, and the world that we want. It is the key to our own happiness and the key to world peace. It is no longer an option. It is our destiny. Want to see more pictures of Colin Tipping quotes? Click on image of Colin Tipping quotes to view full size.